The "Visor" is a completely free application for both professionals and amateurs chess players. 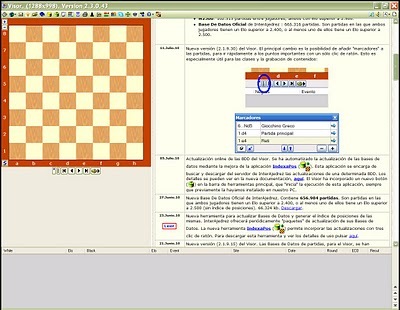 There is a wide variety of things you can do with the chess viewer "Visor", for instance study games, take online courses and lessons, play chess online against remote opponents, play postal chess, subscribe to electronic magazines, use calculation engines for chess, search on datebases, etc. Some of those features require an Internet connection, but not all.